Future Generations China (FGC) is a non-for-profit organization on community-based conservation and sustainable development. Its mission is to protect nature and to promote community-based environmental improvement. The work of FGC started with sustainable community development projects in the Mt. 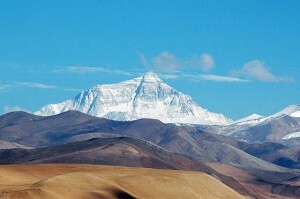 Qomolangma (also called Mount Everest) National Nature Reserve in the 1990s (awarded as TOP50 the most successful sustainable development projects worldwide and Equator Prize by UN) and then expanded to youth education programs and environmental development projects in rural China. From 2014, FGC focused on conservation of Sanjiangyuan (Three-River-Source) Nature Reserve (SNNR). 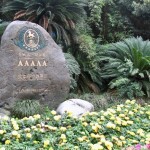 The SNNR is the largest nature reserve in China. It contains the headwaters of the Yellow River (49% water volume), the Yangtze River (25%), and the Mekong River (15%). It is water source of 40% world population (2.8 billion) and recognized as “Water Tower of Asia” but its globally significant ecosystem is facing growing challenges and emerging threats now, including ecosystem degradation and climate change. FGC works closely with provincial and local government on nature reserve, domestic waste management, environmental education and sustainable livelihood development. FGC methodology is to unite social development with environmental protection for just and lasting community change. FGC operates on the basis that fostering initiative within local communities and establishing local ownership of resources is crucial to the achievement of sustainable livelihoods for rural China. 1. Is Future Generations China part of an worldwide NGO (I saw that besides China, many other countries have a “future Generations” office). What is the legal status of the association in China? Can enterprises donate and receive tax deduction? FGC is a NPO registered in Beijing, China since 2010. So far enterprises cannot donate to FGC but they could donate to a special foundation registered in Hongkong, or they could donate to long-term NGO/foundation partners of FGC, who can receive donation from enterprises and provide tax refund. 2. Recyclage: FGC organizes waste collection in the country. Could you please tell us a little bit more? FGC works closely with communities in Qinghai and Beijing on waste collection projects. Unlike other projects in which NGOs are always dominating, FGC fully respects and engages communities by communicating with them, identifying their real needs, and jointly finding out reasons and design solutions. FGC is implementing a project named “Source of Life” in a village located 60 km from Beijing City Center. The project objective is to reduce waste and water pollution in the watershed between 2015 and 2018. During the project, over 1300 villagers and volunteers will participate and collect domestic waste along its river course. Moreover, villagers will be instructed to reduce waste generation from the source and to segregate waste. FGC works with provincial and local government in Qinghai, local schools and communities to protect the Sanjiangyuan Nature Reserve and to prevent degradation. Waste collection activities are organized in joint efforts with local NGOs, during which herders and students will clean up the grassland, mountains and rivers. However, waste collection is only very first step in above projects. The value of the projects is to instruct communities to know the harm of waste, and to practice 3R principle (Reduce, Reuse and Recycle). 3. 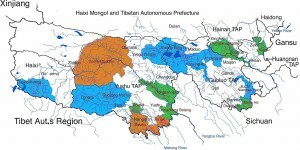 You focus on Tibet area, do you know if similar associations are active in other Chinese provinces? 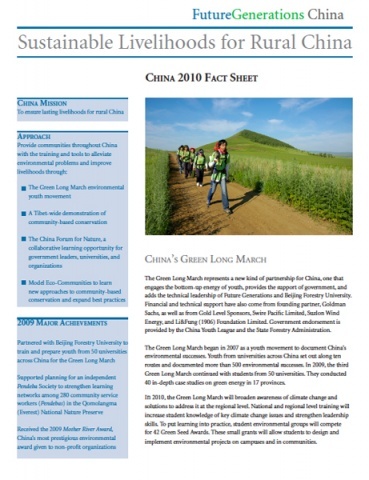 There are a few well-developed environmental organisations that are active in China. We could mention Friends of Nature, Global Village. They are more local but small-scale environmental NGOs are being registered in recent years and their capacity is being built up. 4. Your association is registered in Beijing? What is the reason as the association is mostly leading actions in Tibet? Do you have activities in Beijing? Seating in Qinghai-Tibet Plateau, Tibet areas are supposed to be uncultivated holly lands in China and important adopters for climate change. However, with rapid economy development and Go West strategy since 1990s, Tibet areas are facing increasing environmental and ecological threats. Based on rich working experiences in eastern China and wide network in the field of nature reserve, FGC defines its mission as to improve conservation in Tibetan regions and commits to avoiding/eliminating pollutions in pure lands. FGC understands the importance of education for sustainable development. Therefore it cooperates with primary and middle schools in Beijing to organise innovative nature observation activities, delivering trainings/lectures on environmental education etc. Another activity in pipeline is to organize students and parents to visit nature reserve/wetlands in Beijing, with the purpose of understanding how nature works and knowing the importance of ecology. FGC is implementing a project named “Source of Life” in a village which 60 km from Beijing City Center. The project objective is to reduce waste and water pollution in the watershed from 2015 to 2018, and to build up villagers’ sustainable development. 5. Any other topic you would like to add and could be interesting to expatriates / foreigners living in Beijing? 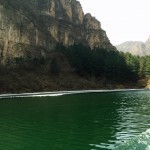 The Sanjiangyuan National Nature Reserve (SNNR), also referred to as the Three Rivers Nature Reserve, is the area of the Tibetan Plateau in Qinghai province, China. It covers an area of about 152,300 km2, 21% of Qinghai, and larger than England and Wales combined. 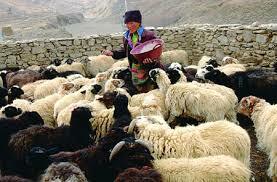 There are 420,000 Tibetan herders in SNNR. The Reserve was founded in 2000 and upgraded to State-level Nature Reserve in 2003. The protection goal is the Qinghai-Tibet Plateau ecosystem, with a focus on alpine swamp meadow and the natural habitat of wildlife in the Sanjiangyuan Area. We welcome expatriates / foreigners to join in our project activities in Qinghai and Beijing to better understand communities and their challenges, as well as to contribute to improve the situation.